Christina Lin is the Technical Marketing Manager for Red Hat Middleware Integration Products. She helps to grow market awareness and establish thought leadership for Fuse, AMQ and 3scale. By creating online videos, getting started blogs and also spoke at many conference around the globe. She has worked in software integration for the finance, telecom, and manufacturing industries, mostly architectural design and implementation. These real life system experiences helps her to be practical and combining open source technology, she hopes to bring more innovative ideas for the future system development. This article is the second in a series of three articles about Red Hat Integration. The first article described how the new Red Hat Integration bundle allows citizen integrators to quickly provide an API through tools that make creating an API in five simple steps effortless, and we implemented a demo showing the full API lifecycle on Red Hat Integration. The demo was about providing wine labeling and ranking info via APIs. In this article, I am going to take you further by implementing a real business transaction with Salesforce. We will create an event-driven integration solution with no code on Red Hat Integration. The idea of this demo is to receive an order from the client web application through a gated, secured API that will then process the order and forward the needed data to the corresponding Salesforce modules. From there, Salesforce will take care of the order content. Nowadays, API development with proper lifecycle management often takes days if not weeks to get a simple API service up and running. One of the main reasons behind this is there are always way too many parties involved in the process. Plus there are hours of development and configuration. First, the system analysts negotiate the API interface with the API consumer; then the developer writes the actual API to implement the interface. They then pass the API on to the DevOps team that is in charge of deploying the API. And it is not done yet; then the deployment info needs to be passed to the operations team that is in charge of setting up the API endpoints in the management system and also applying the access policies. The speed of providing managed API services can be one of the major factors in the success of a company’s business. This article, which is the first in a series of three articles, describes how the new Red Hat Integration bundle allows citizen integrators to quickly provide an API through tools that make creating an API in five simple steps effortless. 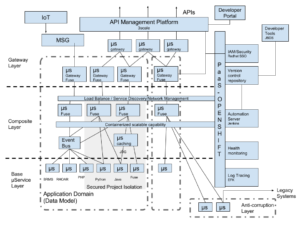 This is part one of my two-article series that demonstrates how to implement contract-first API design using Apicurio and Red Hat Fuse. It covers how to create an OpenAPI standard document as the contract between API providers and consumers using Apicurio Studio. It also shows how to quickly create mock tests using Red Hat Fuse which is based on Camel. Red Hat Fuse 7 (formerly called Red Hat JBoss Fuse) is now officially available. This cloud-native, distributed solution allows developers to easily develop, deploy and scale integration applications. Architects can compose and orchestrate microservices with Red Hat Fuse to introduce agility to the systems. In this release, Fuse also empowers integration experts and business users to become more productive with the self-service low-code platform. With this new agile integration solution, enterprises can now engage in wider collaboration with and among partners at a much quicker pace. Here’s where you can download it: https://developers.redhat.com/products/fuse/download/. Get Started with Red Hat JBoss Fuse 7 Tech Preview 3 Today! 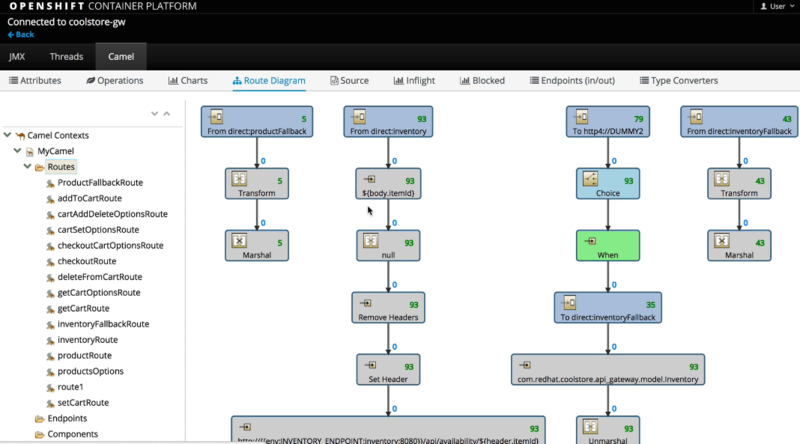 Red Hat JBoss Fuse 7.0 technical preview three is out today! On the pathway to become one of the best cloud-native integration platforms, JBoss Fuse gives developers the freedom to choose how they want to develop an integration solution, where they want to deploy it. It also has capabilities to address new integration personas that do not have development experience. By supporting the three major runtimes, the developer is free to work on the runtime of their choice. By supporting standalone and cloud deployments, it reduces the complexity to deploy to those environments, giving deployment flexibility. A solution for all levels of development expertise. You can either dive deep into creating customized complex integration logic, or use the new low code platform to quickly build a simple integration. Fuse Online Tech-Preview is available TODAY! This is great news to my integration developer friends, check out the new Red Hat Fuse Online integration platform. Fuse Online is easy to use and low code platform for system integrators. System integrator now plays a very important role in the Enterprise IT, because they have the ability to interconnect with partner, vendors, and internal systems. Companies now need to deal with the increasing number of APIs/digital touch points that need to weave together. And the time they were given for them to integrate has just gotten shorter! Red Hat Fuse online is just the right tool for this. Microservices is probably one of the most popular buzz words among my fellow developer friends, and I do like the concept of being flexible, agile and having simply having more choices. But as a person that worked in the software integration space for years, I started to see some resemblance of the old ESB days. Looking at the problem from ten thousand feet up. A decade ago, we had to come up with a better way of organizing the spaghetti connection in between systems, stop duplicating effort on the same piece of business logic. That is when service-oriented architecture (SOA) became popular. By modularizing services, sharing them among others systems, and organize ways of communication, routing of data. And ESB is one implementation of that, maybe not necessarily how it should be done. Integration is still around but in a different form. So, what does modern integration look like? Looking at how agile scrum has taken over traditional waterfall development framework, by enabling shorter delivery cycles, faster feedback, and having the flexibility to rapidly adapt to changes. I believe it’s time for traditional integration to be agile again. By breaking up traditional ESB into distributed microservices. The rise of Agile Integration, Integration is not DEAD nor LAME! I wanted to blog about this for a very long time, but because of work and being too lazy to turn on my laptop on the weekends, I now finally have a couple of hours to sit down and start blogging. “What is that again? Integration, you mean SOA? It’s lame…”. Today, I am very pleased to announce the GA of Fuse Integration Service 2.0. This release will make integration applications more portable, flexible and allow agile developers to react faster to business needs by supporting microservice architectures. Developers will now be able to realize the benefits of microservices within integration projects and be able to leverage integration patterns while breaking up monolithic applications and reducing the size of services pushed onto older ESB technology. With FIS 2.0, developers can now choose a more suitable technology for the composition and integration of microservices, with a more lightweight runtime providing for faster deployment, while simplifying packaging and ensuring a smoother process from development to production, as well as allowing management of the distributed application and taking care of fault tolerance all at the same time.